SEBASTIAN the crab had it all figured out when he said it’s better under the sea: “Up on the shore they work all day, out in the sun they slave away…” — this is the life of a working adult. Not everyone is a fortunate demigod like Percy Jackson who can breathe underwater, but a getaway in one of the best underwater hotels will come pretty close to that. While there aren’t entirely submerged resorts, the guestrooms and restaurants are what matters. Dining underwater will be a whole new experience, especially when you’re eating fresh seafood while their brethren swim by unaware. Imagine waking up to rays of sun streaming through clear ocean waters as coral reefs and sea creatures swim languidly above you, all in ultra HD; you won’t even have to be jealous of Aquaman. We know you’re excited, so grab your luggage and dive into our picks of the best underwater hotels in 2019. Everything in Dubai has to be bigger, taller, and more extravagant — even their underwater suites. The two suites in Atlantis, The Palm (aptly named Neptune and Poseidon), are the truest definitions of luxury taken to new depths. Floor-to-ceiling windows present the best of the Ambassador Lagoon, with a personal butler to tend to your every need. Of course, the suite interiors also reflect the ocean — think coral decorations on the walls, paintings, and also on the bed sheets; it’s an aqua-paradise. Atlantis, The Palm, Crescent Rd – Dubai – United Arab Emirates, +971 4 426 2000. We’re used to having a spa treatment facing the sea where the sounds of crashing waves lull us to sleep, but not when the spa is underwater. 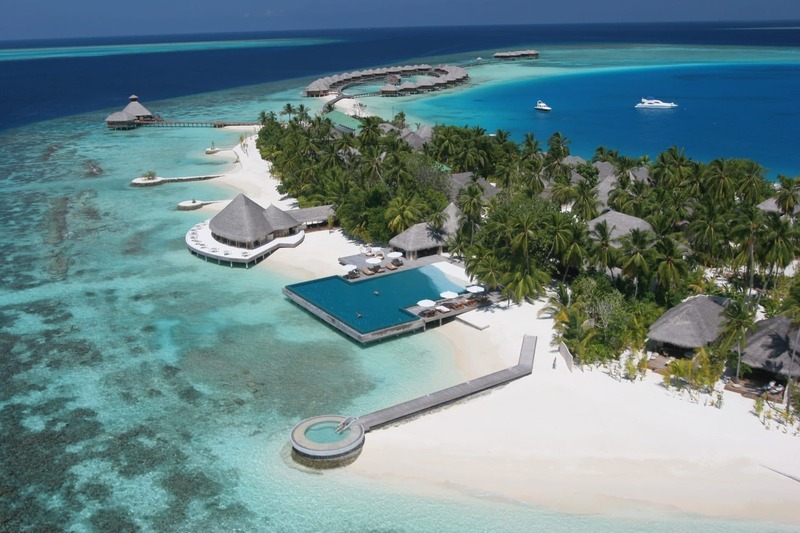 The Lime Spa at Huvafen Fushi Maldives is located under the sea within its resort, where you can indulge in the view of Maldives’ pristine waters. Try the Lime Light Ritual, a treatment utilising local ingredients like coconut, lime, and minerals, followed by a massage and quiet time in the relaxation pod. Huvafen Fushi Maldives, North Malé Atoll 08390, Maldives, +960 664-4222. The whole sleeping-with-fishes thing may prove too adventurous for some, and we get that. However, if you still want a cool underwater experience, the Subsix underwater restaurant at Niyama Maldives is a more comfortable choice. Stay at the overwater villas at the Niyama Maldives private islands and then have your dinner at Subsix, three-stories underwater. It also doubles up as a club four nights a week, so think about the partying you can do, all while 20 feet below sea level. Subsix at Niyama Maldives, Huluwalu, Maldives, +960 676-2828. Right here on our sunny island, you can also experience life underwater at the Ocean Suite in Resorts World Sentosa, Singapore. There’s no rush to book one because there are 11 suites available. The architecture is a two-storey townhouse — one above the sea, the other below. The second floor is a living area with an outdoor patio accompanied by a jacuzzi. Down below, the bedroom looks out to the world’s largest aquarium, home to over 40,000 types of fishes. Not an underwater ocean view exactly, but you still get the alluring view of marine life right from the comfort of your bed. Resorts World Sentosa, 8 Sentosa Gateway, Singapore. The resort first made waves with its Ithaa Undersea Restaurant: It’s a decadent dining outlet 16-feet below sea level, featuring a seafood-oriented menu. It’s also the first all-glass undersea restaurant with a 180-degree view of the ocean above you. What’s more, you can even enjoy the same view in the form of a private bedroom suite. Sleeping and eating, all in the majesty of the great Indian Ocean – who said money can’t buy you happiness? Conrad Maldives Rangali Island, Rangali Island Rangali, 20077, Maldives, +960 668-0629.